In my kitchen there are always brownies, cookies, bars, or cupcakes around waiting to be enjoyed as a tasty dessert or snack. In fact, if you look around my kitchen and don’t find a tasty treat lying around it is a shocking occurrence. 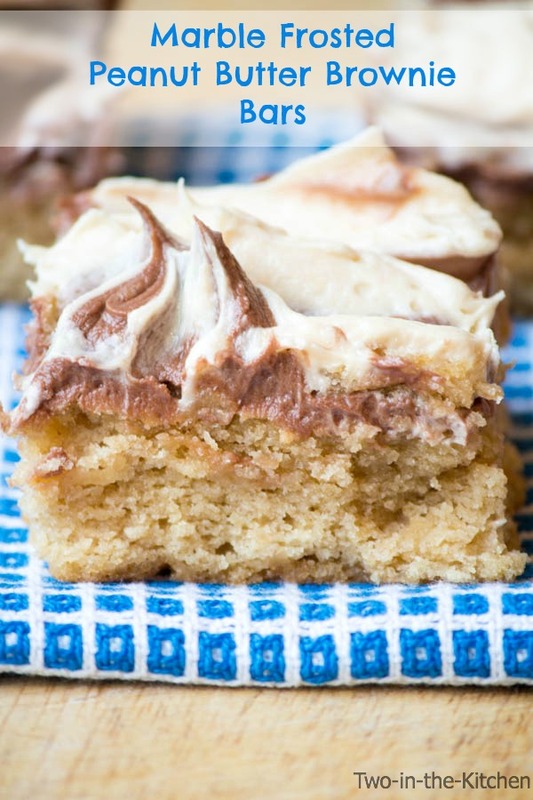 If this ever mistakenly happens, I quickly reach for a simple recipe with ingredients that I always have on hand and bake up a batch of something sweet and tasty. 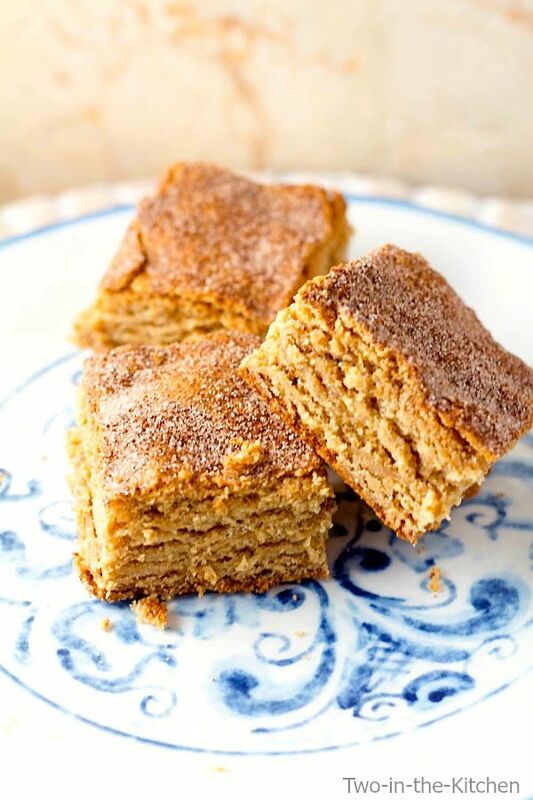 The other day I strangely had no treats in the house so I grabbed a magazine out of my collection and came across a recipe for snickerdoodle bars. Well, I love snickerdoodles though I normally think of them as something to be savored over the holidays. So I decided to change them up a bit. 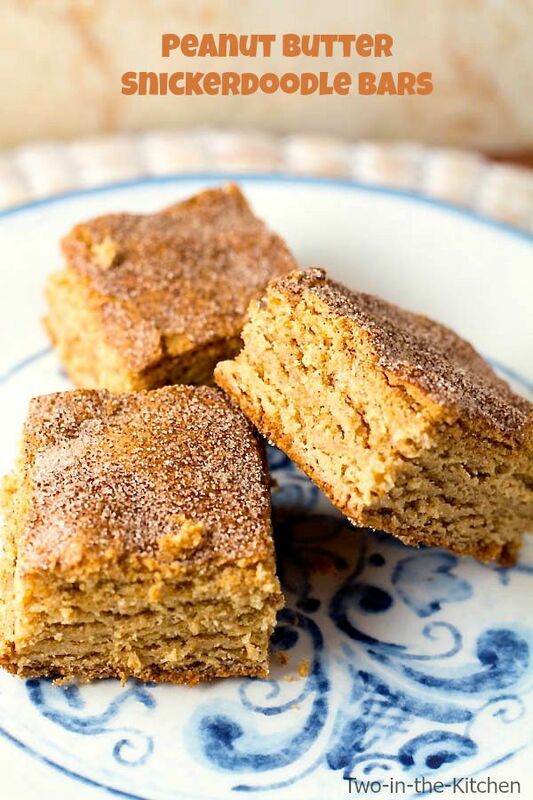 I decided that peanut butter would go very well with the cinnamon flavor that is often associated with snickerdoodles, so after a few minor tweaks, these Peanut Butter Snickerdoodle Bars were born. They are simple to make with ingredients that you more than likely already have stocked in your fridge and pantry. They are made in a 9 Inch Pan and bake up in less than an hour. Preheat oven to 350 degrees and foil and spray a 9 inch baking pan with baking spray. cream together butter, peanut butter and brown sugar together until creamy. Beat in eggs and vanilla. Combine flour, baking powder, cinnamon and salt in a medium bowl and gradually add to the peanut butter mixture, beating as you go till well incorporated. Mix the sugar and cinnamon together and sprinkle evenly over the top of the bars. Bake for 35-40 minutes or until the top is golden brown. Allow to cool on a wire rack. Cut into 16 bars. You had me at peanut butter. 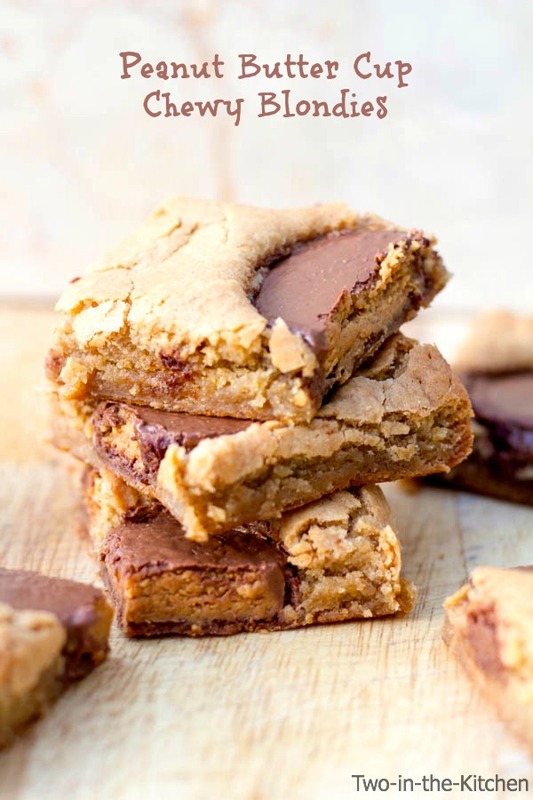 Peanut butter desserts are the best kind! peanut butter for the win always! looks yum! Your recipe for Peanut Butter Snickerdoodle bars says to cream in brown sugar with butter but there is no reference to amount of brown sugar to include on your ingredients list? Oh I am so sorry about that. Thank you so much for bringing it to my attention! It is 2 cups of brown sugar. I am adding it to the recipe. Sorry for the problems it caused you. OMGosh Renee! Could you have possibly made a better combination? These are both two of my favorite things!